We specialize in local products, including Colorado microbrews, wines, spirits, and whenever possible, produce from local growers. We offer quality service at quality prices. Our aim is not to be the newest or the neatest, our aim is to be ‘that one place’ a place to begin your evening or have a night cap, a place to take a date when you are looking for privacy; a place where the community can support local industry by purchasing home grown and home-brewed product; a place where regulars know that good conversation is standing behind the bar; a place where the rest of the world stays at your doorstep. Pull up a stool at our 24 foot concrete bar, have a glass of wine at one of our cozy dining tables, or relax with tapas and beverages on one of our couches. Our menu caters to several palates offering meat & cheese platters, sandwiches, pizzas and an ever rotating selection of tapas. 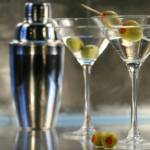 Don’t forget to take advantage of our sinful desserts, martinis and wine.